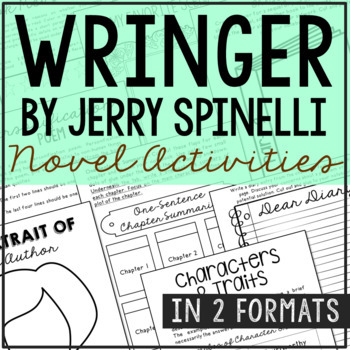 In this novel unit, you'll find 18 differentiated activities for "Wringer" by Jerry Spinelli. This novel study is complete as is, or makes a great companion to your current curriculum. 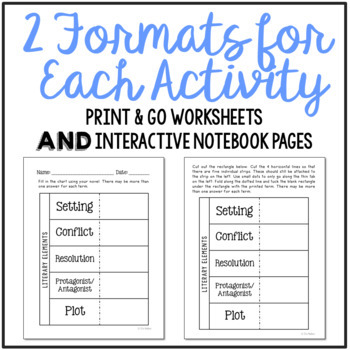 Each activity comes in 2 formats to mix and match based on the needs of your classroom - cut/paste interactive notebook activities and traditional print and go worksheets. 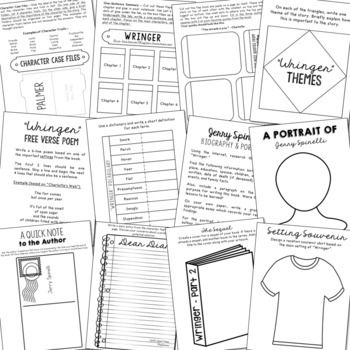 This resource is perfect if you're looking for novel activities that are engaging and demonstrate comprehension WITHOUT multiple choice tests! You'll notice that this open-ended project is incredibly flexible allowing your students to think creatively and work through their book in a natural way. FIND MORE NOVEL STUDIES HERE!! PLUS a variety of activities to allow students to express their comprehension using artistic creativity! 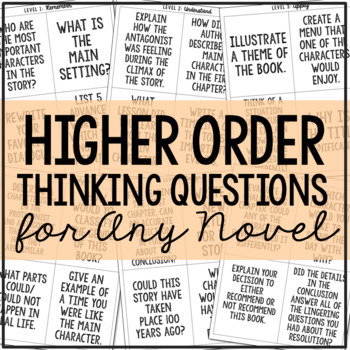 In addition, you'll receive a note-taking bookmark AND 24 higher order thinking questions for ANY novel. I needed something for my flex groups so we could follow along while reading the book. This is exactly what I needed: something quick and easy to print off and put together that covers necessary skills painlessly. – B.B. This is such a great product! It was very useful and helpful with my small group instruction. There's enough items to use that will last a long time. Thank You! – S.H. This does not deserve an "A" rating; it deserves an "A+++"! This is one of the best purchases I have made on TPT! Very well thought out and put together. Thank you so much!!! – A.B. This was great because it saves me time when looking for relevant book study related work. Thanks! – M.V. Great alternative to Google Classroom- students have to take ownership of their reading comprehension! – C.B.